This is THE SUMMER DRESS HAT for any occasion. This soft Toyo Straw looks and feels great. Very pleased by the fit and the quality of this hat! I'm an 8 1/4 so it's very difficult for me to find headwear that fits - this 3XL is perfect. 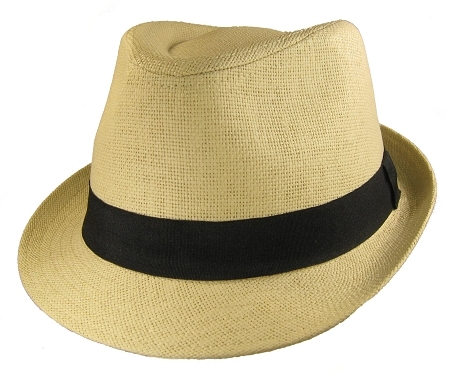 Quality is good as well - it's not the most sturdy hat I've ever worn, but come on - it's a summer straw hat for $50 - I don't expect it to last _forever_. I'm going to buy a couple other 3XL styles as well, while summer's still around! I'm certainly a new but loyal Big Head Caps customer. Love times infinity. I finally get a cute hat!!! On my size 8 1/4, tried the 3X 1st, but was snug. Fran arranged the exchange at no cost. The 4X fits and looks great! Very stylish and cool lid. Excellent quality and fit. Good buy. GREAT hat! I will be ordering again!! !